Directed by Mike Newell. 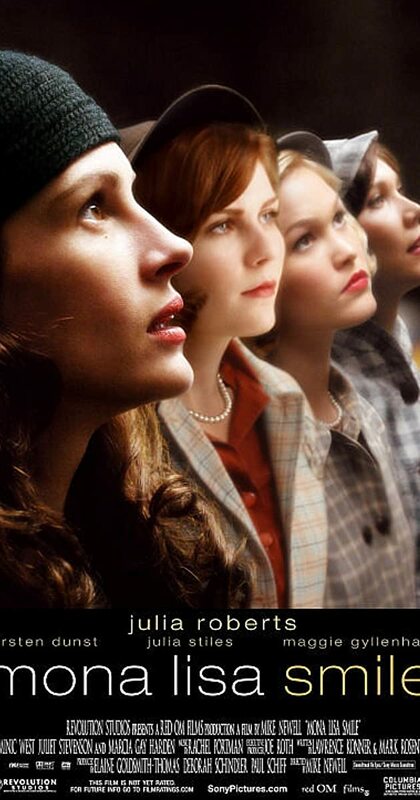 With Julia Roberts, Kirsten Dunst, Julia Stiles, Maggie Gyllenhaal. A free-thinking art professor teaches conservative 1950s Wellesley girls to question their traditional social roles.